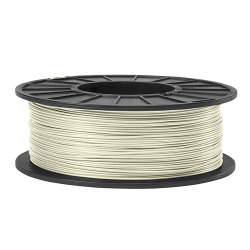 3mm Gray ABS 3D Printing Filament | U.S. 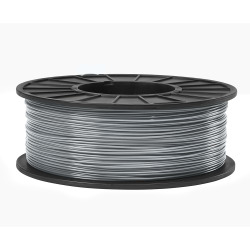 Plastic Corp.
Acrylonitrile Butadiene Styrene (ABS) filament is one of the most common 3D printing materials used in the 3D printing industry. 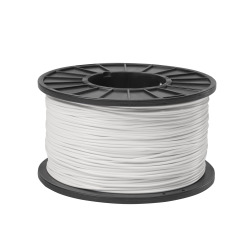 It is recommended for high strength applications and for intermediate users. 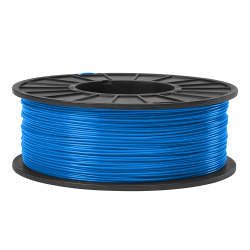 It retains color well and it is tough and nontoxic. It is also water- and chemical-resistant. 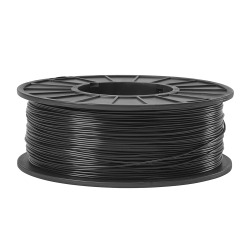 A printer with a heated print bed is usually needed as ABS will stick to a hot print bed. The benefits of ABS are that it has resilient heat resistance, it is durable and mildly flexible, and it can be sanded or smoothed with additional processing. Compatibility may vary from printer to printer based upon the manufacturer's settings & the intended use of the printer.